The need for Special Education teachers is on the rise and expected to keep growing. With a degree or certificate in Special Education you can teach writing, math, reading social skills, and communication to those who need you the most. Depending on which program you choose, you will work with students who have a wide range of mental and emotional disabilities from mild, moderate, and severe learning impairment, intellectual disabilities, Autism, and students with physical challenges. Many colleges offer certificate programs in a number of fields – such as deaf and hard of hearing, speech development, and reading disabilities – that will allow you to teach students of all ages and grade levels. A Special Education certificate or degree will give you the opportunity to make a difference in the life of a special needs child, increase your earning potential, and bring the love and joy of a child’s smile into your heart. The special needs students who need you the most are usually in the public school system. With a Special Education Supervisory Certificate you can liaison between the educators, the students, and the school administrators to form a cohesive, high quality, dedicated curriculum for students with disabilities. Ensure that all the special needs students have the chance to join in the school spirit and atmosphere of learning. To earn a certificate or degree in Special Education you must have a Bachelor’s degree in education with a 3.0 GPA or higher. Several states are now requiring a master’s in special education, and the ten schools of higher learning included on this list provide everything you need to earn your certificate or degree online (and sometimes also on campus!). Each program offers the highest quality and dedication to educators with programs ranging from 21 to 45 credit hours, and a variety of certificate choices in every aspect of special education. The following online degree programs are flexible and convenient so you can continue to work while furthering your education. Depending on which certification you earn, you will be able to teach students from infancy to adulthood. Tuition varies depending on which certificate program you choose. An Ivy League school configured into fourteen specialized colleges including the College of Education, Penn State offers graduate and undergraduate degree programs for educators with a variety of Special Education Certificates. With an overall rank of 54th worldwide, this special education certificate program received a ranking of 33rd nationally. 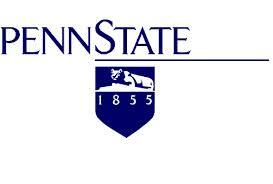 In 1892, Penn State started their Distance Education program, allowing remote farmers to earn a degree through correspondence and in 1998 they developed the Penn State World Campus, making it possible for educators to earn a certificate in Special Education online, including the newly launched Special Education Supervisory Certificate program. Penn State Online’s accreditations include the Middle States Commission on Higher Education, the Council for the Accreditation of Counseling and Related Educational Programs, the National Council for Accreditation of Teacher Education, the Council on Rehabilitation Education, the Pennsylvania Department of Education, and several other program specific accreditations. Completion of the special education certificate online through Penn State provides individuals with a unique chance to tackle disabilities with comprehension and reading. Depending on which certificate you want to earn, the tuition can start as low as $29,000. Learn more about Penn State’s Online Special Education Certificate Programs here. Two years after Nebraska became a state, the University of Nebraska-Lincoln was founded in 1869. Consisting of nine separate colleges, including the College of Education and Human Sciences, they offer several certificate programs for Special Education. With concentrations in early childhood, severe disabilities, Autism, and intellectual and sensory development disabilities, the University of Nebraska – Lincoln, is often a great choice for those seeking to refine their skills and knowledge. 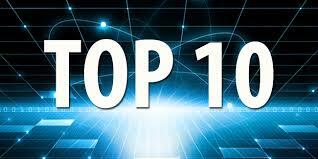 Ranked #101 in the Best Colleges national review, the Special Education programs at Nebraska are highly recognized. Having maintained a consistent accreditation since 1913 through the Nebraska Department of Education, the college offers undergraduate and graduate programs that are family oriented and interdisciplinary, with a comprehensive community-based curriculum. The estimated tuition for out-of-state studies is $31,000.00 and they have several certificates you can earn online. 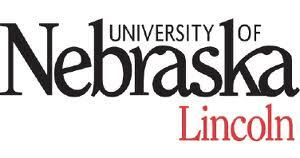 Learn more about the University of Nebraska – Lincoln’s Online Special Education Certificate Programs here. Ranked 13th best college nationally, Johns Hopkins School of Education was founded in 1876 and employs more people in Maryland than any other company. Accredited by the Middle States Commission on Higher Education for more than 80 years, they also hold the Council for the Accreditation of Educator Preparation, and all programs are approved the Maryland State Department of Education. The school offers Special Education certificates in several areas, such as behavior analysis, Autism, gifted, and an early intervention program. The programs last a year and are comprised of five eight-weeks online courses and an internship. Tuition for the Master of Science in Special Education is approximately $39,000 and offers a variety of certificate programs in the field of Special Education for teachers. 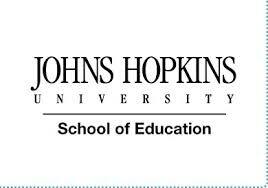 Learn more about John Hopkins School of Education’s Online Special Education Certificate Program here. A leader in creating effective learning programs and supporting research to advance Special Education, Rutgers is ranked in the top 11 percent of graduate schools nationally. 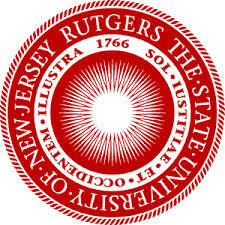 The Department of Education certificates program at Rutgers was founded in 1923. With a wide range of certificates in Special Education, this certificate is part of a master’s degree program for teachers in New Jersey to educate students with disabilities. The program specializes in interdisciplinary studies and instructs educators to teach infants as well as school age children and the family. Education programs at the University are accredited by the Teacher Education Accreditation Council. Out-of-state tuition is approximately $41,000.00. Learn more about Rutgers University’s Online Special Education Certificate Program here. 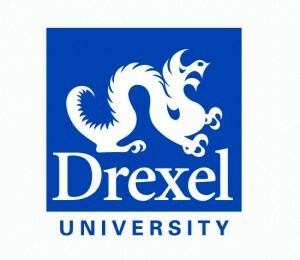 Ranked among the top 50 schools for higher education in the nation, Drexel was founded in 1891 and has placed their teaching emphasis on urban education. They pioneered online programs in 1996 and offer over 100 certificates in education. Accredited by the Middle States Association Commission on Higher Education, Drexel is approved by the Pennsylvania Department of Education, and the winner of the 21st Century Distance Learning Award. Tuition for the Special Education Certification is approximately $27,000.00 and is intended as a part-time graduate program that gives teachers the basic skills needed to instruct students who are at risk of dropping out and students with disabilities. You can also earn a specialized certificate to teach students with Autism and Asperger’s Syndrome. Learn more about Drexel University’s Online Special Education Certificate Program here. In September of 1851, St Joseph University began classes with only thirty male students in search of a higher education. The institution was founded using the Jesuit teachings of “care of the entire person.” Chartered by the Society of Jesus, the school is accredited by the Middle States Association of Colleges and Schools, the National Council for Accreditation of Teacher Education, and is approved by the Connecticut State Department of Education. They are ranked number eleven in the Regional Universities of the North, and are number four in the up and coming category of learning institutes. The certificates are earned online separately or as part of a master’s degree program. St Joseph University even allows participants to earn a reading certificate using the Wilson Reading System that provides you with the skills to help students become independent, fluent readers and better spellers. Learn more about St Joseph University’s Online Special Education Certificate Program here. The university contains five schools within the college, including the School of Education and was founded in 1971. They pride themselves on delivering a higher education to minority students and have given more master’s degrees to women than any other college in California. Being one of the top ten institutes in the state and top twenty nationally, they are recognized by Diverse Issues in Higher Education yearly for their high number of Hispanic and African American students who earn a master’s degree. They are accredited by the Western Association of Schools and Colleges, and the California Commission on Teacher Credentialing. They offer certificates in attention deficit hyperactivity disorders, providing educators with skills in special education in kindergarten through grade twelve and adults up to age twenty-two. Tuition for the Special Education certificate programs starts at approximately $2,000.00 plus several other fees to attend the school. They also offer an internship program. Learn more about National University’s Online Special Education Certificate Program here. Founded in 1894 with a teaching staff of three and six female students, the university started by providing a two-year program for women. The Special Education program is comprised of a certificate program or you can obtain a master’s degree online or on campus. With a five-course certificate specializing in behavior analysis you can become board certified in analyzing the student’s behavior for better placement. They are ranked #120 nationally and are accredited by the New England Association of Schools and Colleges, Inc. and the National Council for Accreditation of Teacher Education. The tuition for out-of-state students in the Special Education program is approximately $11,000.00, and the school is launching a new online hybrid format with a twenty-four hour help line. 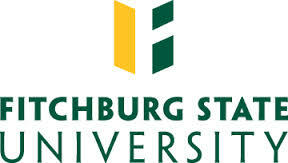 Learn more about Fitchburg State University’s Online Special Education Certificate Program here. The Special Education program is a post-masters-certificate that gives extra instruction in federal mandates, legal cases, and the application process for the Individuals with Disabilities Education Improvement Act. The tuition is approximately $16,000.00. Established in 1996, they present the coursework by distance educational tools online under the Carnegie Classification of Institutions of Higher Education, and they are classified as a Doctoral Research University. The school is ranked 148th best online programs nationally and 71st regionally with accreditations in the WASC Senior College and University Commission (WSCUC) . They are listed with the Accredited Institutions of Postsecondary Education and Programs. Their Master of Arts in Marriage and Family Therapy program was one of the first to gain the accreditation with the Commission on Accreditation for Marriage and Family Therapy Education. 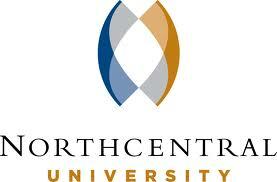 Learn more about Northcentral University’s Online Special Education Certificate Program here. Run by the Grand Canyon Education, Inc., the Grand Canyon University was founded by the Southern Baptist Church in 1949 and is run as a Christian university. After going public in 2008, they are expanding and renovating with over $200 million to update the campus, student facilities, and their available programs. Ranked 74th nationally, they are accredited by the Higher Learning Commission, the Arizona State Board of Education, and the Arizona Department of Education. They provide courses on classroom management, integrated English submersion, assessment training and diagnosis abilities. Tuition for the Special Education program is approximately $9,000.00. Learn more about Grand Canyon University’s Online Special Education Certificate Program here. This entry was posted in University Rankings on May 9, 2014 by tjentz.